Our craftsmen who specialize in custom cabinets have years of experience constructing and installing beautifully crafted cabinets for Lakeland, FL kitchens. Every home in Lakeland, Florida is unique. When you turn to us at Jim’s Floor Depot, one of our main goals is to understand your needs and desires when we install new cabinets in your kitchen. Whether you are a highly skilled chef who needs ample storage for ingredients, or a parent who needs cabinets that can be easily cleaned, the custom cabinets we design for your kitchen will be tailored specifically to your needs. At Jim’s Floor Depot, quality is our main emphasis. Our craftsmen who specialize in custom cabinets have years of experience constructing and installing beautifully crafted cabinets for Lakeland, Florida kitchens. When you have us design custom cabinets for your kitchen, we want to form a partnership with you. This means that we want to hear your concerns, questions, and suggestions during the design and installation process. We do this to ensure that you are completely satisfied with the custom cabinets we install in your kitchen. During the installation process, our craftsmen will pay specific attention to even the smallest details and won’t stop refining their work until we know that it will measure up to your standards. If you have put off enhancing your kitchen’s appearance and storage capacity for years, we encourage you not to wait any longer. 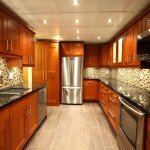 We guarantee that our prices for custom cabinets are affordable and competitive. Additionally, we also offer flexible financing options. Let us at Jim’s Floor Depot be a part of turning your kitchen into your favorite room in your home. To find out more about our custom cabinets, get in touch with us today.